Most articles you read about inbound marketing will likely focus on its most obvious benefits: getting the attention of an audience that's increasingly weary and less responsive to traditional advertising. As a result, you can build better leads, with a higher chance of converting them to customers. But of course, this lead generation win is far from the only advantage that inbound marketing can offer to businesses across industries. In addition, the same concept, thanks to its focus on relevance and value, can be just as beneficial for retaining existing customers. Every business, big or small, should care about customer retention. That's because even though it might not seem that way, retaining your existing customers and improving the revenue your average customer brings to your business over the life of their relationship with you is vital to the success of any business. Here's why: retaining your existing clients is significantly cheaper than acquiring new ones, while also bringing in bigger revenues. In other words, its return on investment is absolutely significant. One study, in fact, found that even increasing your retention rate by 5 per cent can improve your 25 to 95 per cent. Existing customers already know about you. They have already taken the biggest leap in engaging with you to begin with. Convincing them to stay on, upgrade, or work with you again will take less effort - if you know how to do it. That's where inbound marketing enters the equation. Any marketer with an even cursory knowledge of the concept knows just central relevance and credibility are to succeed in inbound marketing. Your goal is to build content that is specifically designed to get your audience to pay attention and want to learn more. The same concept remains true in your retention efforts, as well. First, marketing automation becomes your best friend. You might already use it to nurture new leads. But did you know that you can use the same technology to improve your retention, as well? The basics are simple: set up a starting condition, along with a number of emails that are specifically designed to ensure a positive customer experience. Over time, you can use these emails to gently nudge your customers to buy from you again. For example, a property manager may set up an initial email that introduces a new client to their service shortly after the contract is signed. From that point forward, regular emails can go out that let existing clients know how the relationship is structured, and how you can partner further together in the future. These emails should always place value at the forefront, only subtly mentioning potential upsell possibilities. 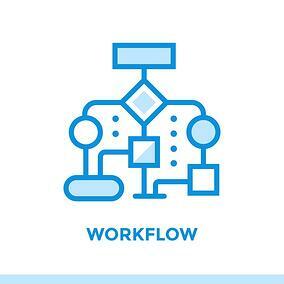 Depending on your business model, retention workflows can start at any point in time. For some brands, it might make sense to get started as soon as a lead becomes a customer. For others, particularly businesses with longer average customer lifetimes, a better strategy might be to set up an initial wait condition and only begin the re-nurturing process once existing customers start to become inactive. You know what your existing clients love even more than hearing from you? Hearing from your peers. 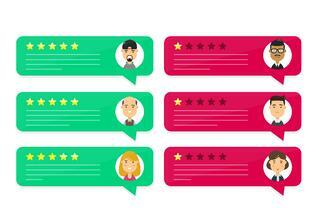 After all, there is a reason that 84 per cent of internet users trust online reviews from complete strangers as much as personal recommendations from their friends. Fortunately, you can use this attitude to drive more brand engagement on behalf of your customers. Set up online communities on social media, which your audience can use to exchange thoughts and ask questions. A representative from your business can be involved, but should not be the only driving force. The goal is to provide an authentic mechanism for your audience to help each other. Facebook and LinkedIn both offer Group features that can help you build this type of community. Between the two, Facebook tends to be the better choice because of its larger user group, but LinkedIn could make sense for more business-oriented industries. Finally, don't underestimate your customers' appreciation for content that goes above and beyond what they expect. In addition to the services or products they pay for, provide additional content that is only accessible for your current customers. The result will be greater engagement with your brand, and a greater chance of contract (or purchase) renewal. The reason why this type of exclusive content works is actually based on a scientific concept. The reciprocity principle states that if we receive something for free, we will feel compelled to return the favor. Through webinars, product tutorials, and more, you can make your mark in your customers' mind. The same concept that prompts retailers to offer free food samplers can also help improve your retention rates. Inbound marketing, in other words, reaches much farther than getting new customers. When implemented right, you can use email, social media, and content marketing to better retain your existing customers and maximize your revenue. The result is healthier and more sustainable business growth, maximizing your return on investment and improving your bottom line. Want to learn more? Download our exclusive Inbound eWorkbook: Click Me!